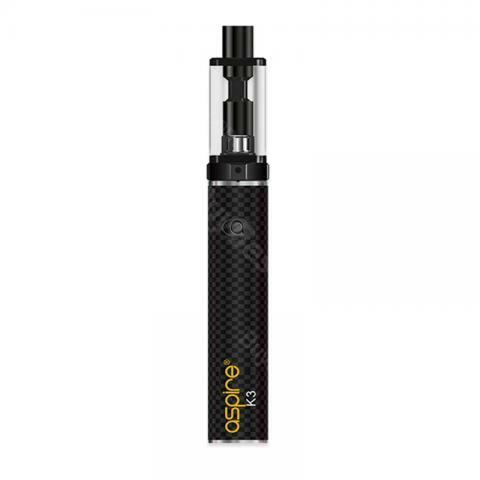 Aspire K3 Quick Start Kit, combines a 2ml K3 tank and a 1200mAh K3 battery. It brings satisfying mouth to lung vaping experience. This Aspire K3 kit includes 2 coils in 1.8ohm and a micro USB cable for charging. 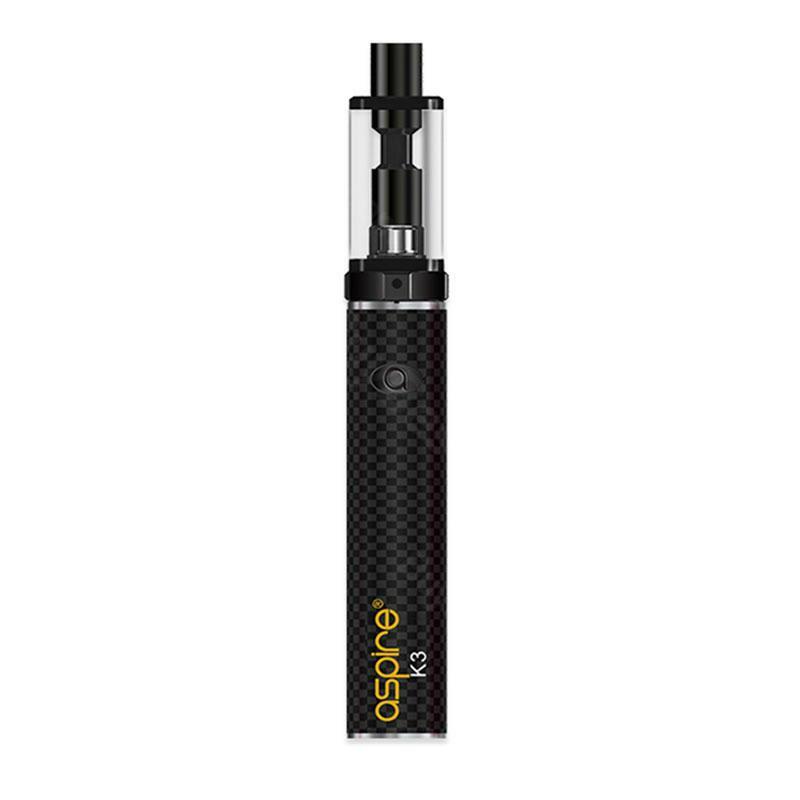 Aspire K3 Quick Start Kit, combines a 2ml K3 tank and a 1200mAh K3 battery. It brings satisfying mouth to lung vaping experience. This Aspire K2 kit includes 2 coils in 1.8ohm and a micro USB cable for charging. Black and pink colors in TPD Edition and Standard Edition. • Note: black kit comes with black battery & black tank; pink kit comes with pink battery & silver tank. • You can buy replacement coils on BuyBest. This is my first vaper and it’s brilliant! Not smoked a cigarette for a week and have no desire to. Great smoke, real tobacco sensation in the throat and when used with a juice containing a little nicotine stops any cravings. Hey, not super healthy but infinitely safer than tobacco. Charges quickly, last ages, no smell and no leaks... all in all, highly recommended. it's a cheap vape starter kit,a good choice for starters. Aspire also have 1200mAh battery, with best package. awesome! I have a few Aspire devices, K3 is as good as my other vapes. nice little unit, got great performance, does its job well. Quick delivery, neat product, loving Aspire K3, it was a great choice that I upgraded to this. After smoking for years I have given up thanks to Aspire K3.